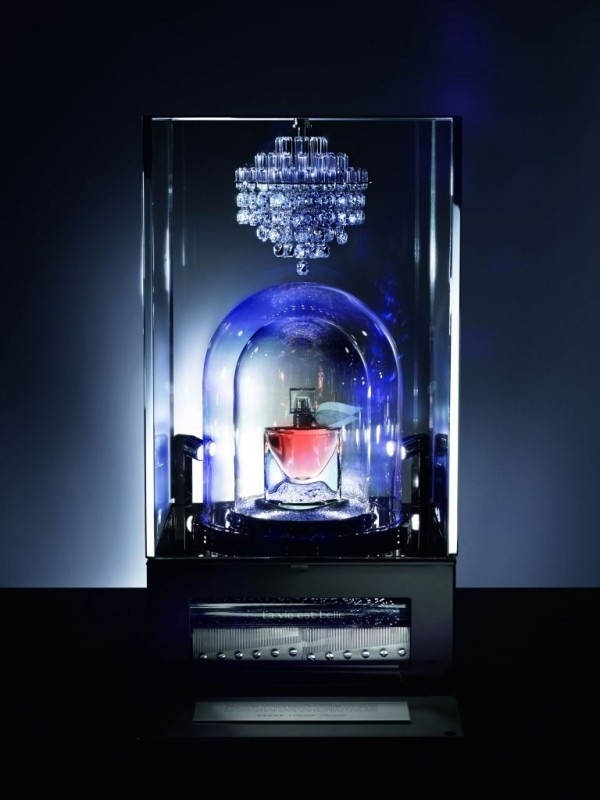 Lancôme teamed up with luxury crystal maker Baccarat for the limited edition La Vie est Belle perfume bottle. The perfume bottle is presented under two glass bell jars within a music box made by Reuge and topped with a beautiful miniature Baccarat chandelier. On the front there is a button which when pressed, the theme song from the perfume's campaign plays. There will be only 15 pieces of this limited edition perfume and box. Each box needed around 120 days to be produced. Starting November 15, 2013 this luxury edition of La Vie est Belle perfume will be available at the Lancôme institut in Paris but can be viewed at Sephora on the Champs-Elysées in Paris end of October 2013. Prices have not been announced.